Welcome to our April 2017 Dev Blog update! We’ve been hard at work and have loads of news to share with you all. Scenario Creator on mobile is ready for launch! First of all, our powerful app for creating custom scenarios is geared up for launch on iOS and Android. 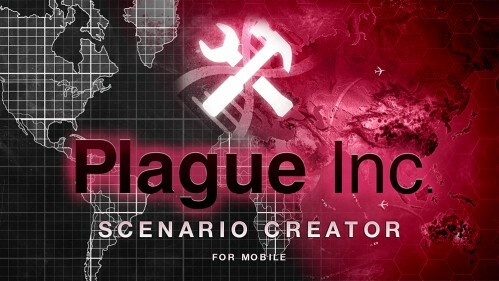 In just a matter of days you'll be able to craft your very own Plague Inc. scenario from the comfort of your touchscreen. Alien infections? Werewolves? Politicians with exploding spore heads? Anything is possible and we can’t wait to see what you all cook up. We’ve already had loads of great (and incredibly useful) feedback from our awesome beta testers, so we wanted to say a hearty thank you to all who got involved and helped us get the app ready for launch. It’s in certification right now and should land on your devices in the next week or so. 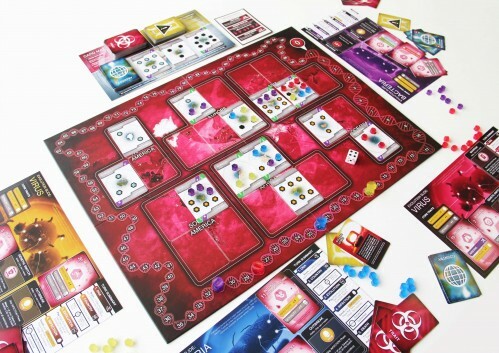 Plague Inc: The Board Game hits retail! Plague Inc: The Board Game is beginning to ooze out into the retail market in the US and UK now, which is an extremely exciting and also nervous time for us (if the game does well we get to make lots of new expansions for it!). You can pick up a copy right now over on Amazon and you’ll see boxes arriving on the shelves at your local board game shops very soon! Early feedback from Kickstarter backers has been overwhelmingly positive, so we can't wait to hear what you all think! Just like on the App Store, reviews on Amazon are mega important. If you’ve played the game and enjoyed it, we would really appreciate it if you could head over to Amazon here (www.plagueinc.com/gettheboardgame) and leave us a review. Every single review counts. Shadow Plague coming to PS4 and Xbox One! Our third and final piece of exciting news this month is that our most popular Plague Inc. expansion is about to infect consoles. 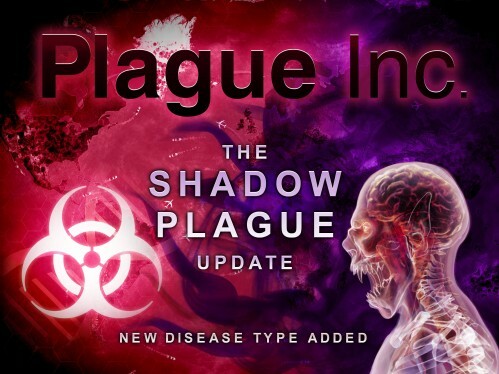 The Shadow Plague Update, which has you take on the role of a long dormant vampire primed to infect the world, is just going through certification with both Sony and Microsoft, and should be landing in Plague Inc: Evolved (for free) on PS4 and Xbox One very soon. Cover the world in darkness - Master unique gameplay mechanics and strategies to help the vampire rule the world! It’s a very different way to play Plague Inc. so we hope you get a kick out of it! We’ll keep you up to date with exact release timings when we can, but in the meantime keep an eye on our Facebook and Twitter feeds to stay in the loop with future news from us, and feel free to get in touch with your ideas and suggestions.